Here’s how to enter this MEGA giveaway! 4. In your comment also tell us why you’d like a set of tickets for your family or what your favorite ride is at Hawaiian Falls. Contest ends on Saturday, August 2nd at midnight CST. Winners will be contacted by email – same one you use to leave the comment below so make sure it’s valid. Winners must respond ASAP to claim prize. 5 prizes, 5 winners; one entry per person. My daughter’s birthday is coming up and this is where she wants to go! Would be awesome to win! Is love to win the rivets because we are new to DFW, so we have never been! We would love to win this. Money is tight with only one person in the house working. Our kids see it when we drive past and ask every time if we can go to the waterpark. Would love to win this for them. They love the kids play are and especially the wave pool. Liked/shared and I would like to win because I want to do something with my family before school starts back up in August. My son loves to swim, so this would be perfect for him. Would love to take our kiddos there to celebrate us all becoming a family 6 years ago!! We have not had a summer vacation due to my husband being in school. We would love to win HF tickets for a fun family outing! Perfect place for a hot summer! We would love to go! Omigosh – my girls keep asking when we’ll be going to Hawaiian Falls again. They love it, but our family favorite is the lazy river! Wet, but relaxing. Thank you for the opportunity to win tickets! 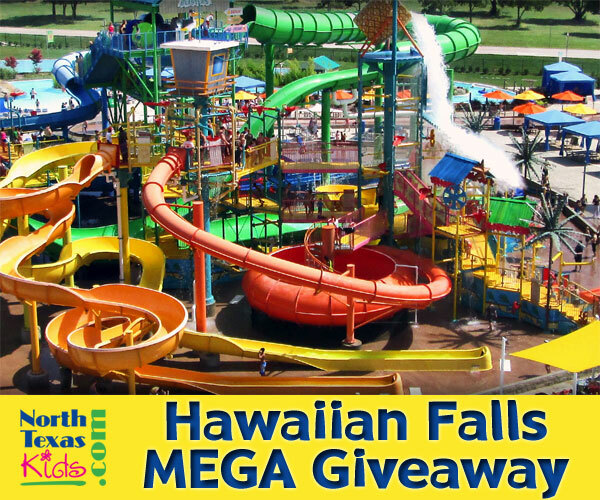 We would love to win, because we have never been to Hawaiian Falls and desperately need something FUN to do. We weren’t able to go on a vacation this summer and we moved to Canton Tx(there isn’t a whole lot to do out here). Thank you for the chance to win! We have actually never been to a water park as a family, but now that my sons are getting a little older–I think they would absolutely have a blast on those slides! I have never been but I am sure my kids would LOVE it!!! We did not take a family vacation this year, this would be a great small family get away to end the summer. My kids and I have never been to Hawaiian Falls and I would love to take them before Summer ends! I would love to win these tickets because my family has never been to Hawian Falls before and we haven’t got to do anything fun over summer break yet. I would love to take our family before school starts, we are super tight on cash. My 6 year old son loves the Pineapple Express. Been wanting to take my older kids to Hawaiian Falls for sometime now. This would also be a great adventure for our 3 yr old twins. Have only been 1 time so don’t know what my favorite is yet. I always enjoy wave pool and most slides. Old daughter heard the commercial she begs to go! We’d love to do the tube rides that you can do as a family! My kids have never been and they’ve been wanting to go to a water park. I wasn’t able to take them anywhere for my vacation so this would be a great surprise for them. Hawaiian Falls is like a little piece of paradise in Texas! My son loves the Torpedo! I’d like to win because the kid loves hf! Kiddos have never been to a water park. It’s more than I can pay. I would love to take them. I would love to win! We’ve never been! https://www.facebook.com/bevmurphy.scentsy/posts/843943545630323 I would love to win some tickets because we have never been there, and my daughter has a broken arm, and the cast comes off soon, so we would love to take her to a water park to celebrate before school starts!